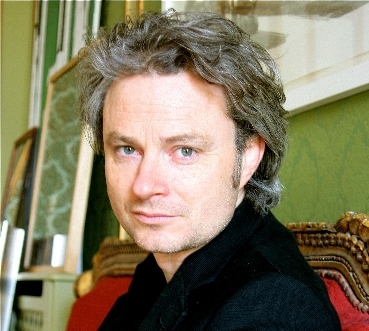 Simon Toyne is the author of a trilogy of books, which started with Sanctus and was followed by The Key. The third and final book is The Tower, which has recently been published. He talks about becoming an accidental trilogist! I recently put the final full stop on the final sentence of ‘The Tower’, last book of a trilogy that has taken me five years to write. It’s been a long journey, which started at the top of a mountain in a city in Southern Turkey and ended up right at the furthest edge of the known universe. During the time it has taken me to write the three books and complete this journey I have met many people along the way, readers, reviewers, journalists all of whom generally ask the same question ‘Did you always plan to write a trilogy?’ Well, no – actually I didn’t. I’d like to claim that it was all some kind of master plan, spurred by a ruthless commercial mind that forensically studied the success of things like the Stieg Larsson trilogy, saw the cold, hard sense of hooking in readers with an on-going story and thought ‘Aha, got to get me some of that.’ In truth, it was all an accident, a happy one, but an accident nonetheless. ‘Sanctus’, the first step on this long road, was only really supposed to be the book where I learned how to write a book. I’d been paddling around doing bits of writing in the shallows of TV for most of my adult life, producing, directing, writing voice-over scripts for Z-list on screen talent, promising myself that one day I’d write ‘that book’ I’d always talked about. Finally, bored of my own excuses, I saved up to buy myself a six-month break from work so I could give it my best shot and started to write. I had no publisher, no agent, no one hassling me to deliver a draft, just an idea and a long smouldering desire to prove I could do it. I hoped I might learn enough writing the first book to maybe get an agent vaguely interested in what I might write next. I didn’t really expect it to get published because I’d read many accounts of other authors who had written two, three, even twenty other books before they got one in print. The notion of embarking on a trilogy didn’t even cross my mind. However, one of the things I discovered whilst writing this first book was that things change, ideas come to you that don’t necessarily fit the story but are too good to discard. ‘Sanctus’, for those of you who haven’t read it (yet) has a humdinger of a secret at the heart of it. What this secret is, whom it affects and why it has been kept hidden for so long drives the whole story and I knew that once this secret was revealed the book was effectively over. However, you cannot just leave a whole cast of characters hanging after nearly five hundred pages just because the reader has found out what this secret is. In my first draft, I got round this – sort of - by tying everything up with indecent haste in a very unsatisfactory ‘one-year later’ type of epilogue. All the other ideas I had, the ones that didn’t quite fit, I put in a steadily growing ideas folder on my desktop. When I eventually sold the book to HarperCollins (much to my joy, amazement and orgasmic delight), my very wise and very, sharp editor Julia Wisdom said two things to me. Firstly: what would you like to write next? And Secondly: I don’t like the ending. She felt the fall-out from the revelation at the end of ‘Sanctus’ posed too many juicy questions to brush aside so quickly - and I agreed. So I told her about all the extra ideas I’d had and, one way or another, the seeds started to flourish and the ten-page epilogue I had initially written turned into two more books. Looking back now, I genuinely think that if I’d tried to conceive of the trilogy right from the outset I wouldn’t have been able to. I would also probably have been too daunted by the prospect of such a large story to have even attempted it. I would have talked myself out of it because I would have been too scared to even attempt it. It’s quite telling, and also entirely unconscious, that ‘Sanctus’ starts with a man climbing up an un-scaleable mountain. In many ways, I think that was also me, inching my way slowly up the beginnings of something far bigger than I could sense at the time, vaguely aware of the whole mountain but only ever concentrating on the section of rock right in front of me - terrified that I might fall. It is probably the best lesson I learned, and the one I would pass on to other writers starting out on their own journeys: just take it one-step at a time and don’t worry too much about where you are headed, just keep going. You’ll get there in the end. ‘The Tower’ published in the UK on April 11th and in the US on June 12th. ‘Sanctus’ and ‘The Key’ are both available worldwide. More information about Simon can be found on his website.